Similar to the tapas of Spain, mezeluri of Romania, and antipasto of Italy, the Lebanese Mezze is an array of small dishes placed before the guests creating an array of colours, flavours, textures and aromas. This style of serving food is typical of entertaining and ideal for groups. Mezze may be as simple as pickled or raw vegetables, hummus, baba ghanouj and bread, or it may become an entire meal consisting of grilled marinated seafood, skewered meats, a variety of cooked foods and raw salads and an arrangement of desserts. Most of the dishes are not spicy and the variety can be tailored for each function depending on your specific requirements. Desserts such as baklava and coffee are usually served after the meal, though there are many more options which can be catered for your function, such as Ossmalieh – a sandwich of ashta (Lebanese clotted cream) between two layers of caramelised angel-hair wheat, fresh fruit platters, ice creams, and bespoke cakes. The Lebanese family cuisine also offers a range of dishes, such as stews or yakhnehs, which can be cooked in many forms depending on the ingredients used and are usually served with meat and rice with vermicelli. Meejana offers a number of these dishes which can be prepared as larger versions of our mezze to be shared. Or any of our speciality desserts. These prices do not include drinks during the meal and you will be free to choose from our selection of wines, spirits and soft drinks upon arrival. If you are having a special occasion, ask about arranging some champagne or prosecco and we can take care of it for you. We are happy to customise the experience to your function, but do remember that even when pre-booking everything is prepared from fresh for you and so dishes do arrive at different times. We also require a credit or debit card to secure the reservation. No money will be charged to the card unless you fail to cancel and do not show up. In this case we will charge £20 per booked person to your card. We also reserve the right to charge £10 per person if you cancel within 6 hours of your reservation time. You can download a copy of this information for offline reading if your prefer. Our restaurant is available for private hire for your function – be it a birthday, wedding anniversary, leaving party, corporate meeting, or engagement at any time during our opening hours, from 10am until when we close, and earlier opening times can be arranged (for example for breakfast meetings). The premises is fully air-conditioned and we can offer wi-fi access throughout for our customers. 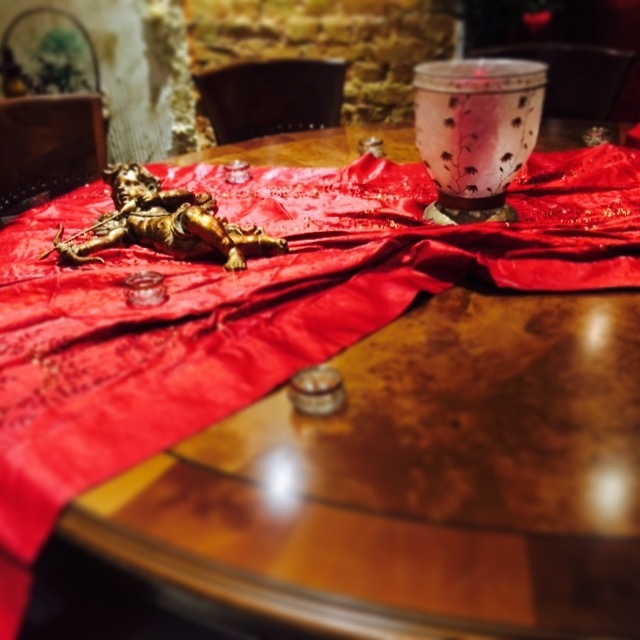 We usually operate on a fixed price per person for private hire functions, but for smaller groups requiring exclusive use of the room (for example small private parties or business presentations) there is a minimum fee depending on the time of day. 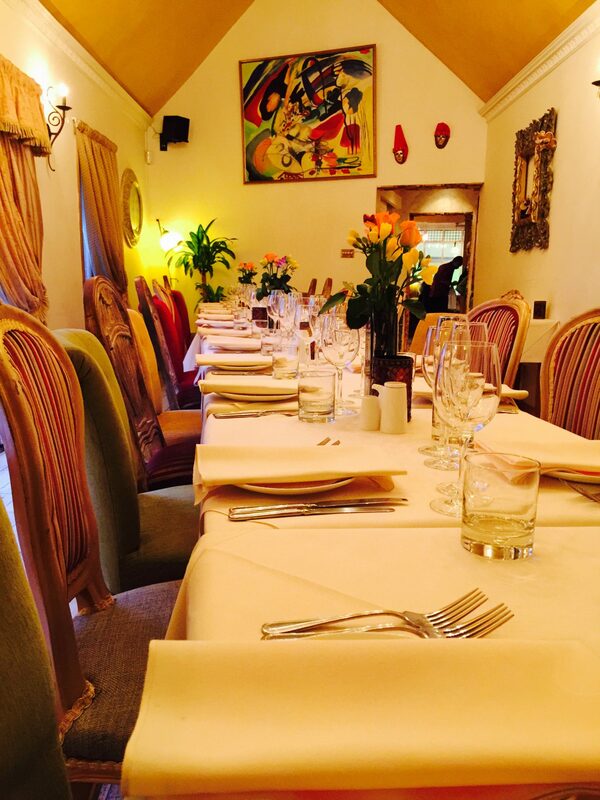 For private hire for dinner events, we operate a minimum charge policy – this means there is a minimum charge for the venue (which also gives you flexibility on numbers of guests) and also allows you to plan a menu to suit your function – this can be extravagant or light. You pay the higher of the total cost of your function (charging for food and drink accordingly) or the minimum charge. We also offer our site to film companies as a location for commercials, films and shorts. We have already worked with a number of production companies for brands such as GHD and Mercedes. Rates are negotiable depending on the requirements of the shoot. The restaurants can also be hired for launch events. Some companies who have made use of our venues for various functions include Vodafone, Sony, Samsung, GSK, Cochlear, Bancroft Wines, BP, P&G, Verint, IDIS, Warner Chilcott, Thales, Misco, Toshiba, and many other smaller companies, teams and private individuals over the years.